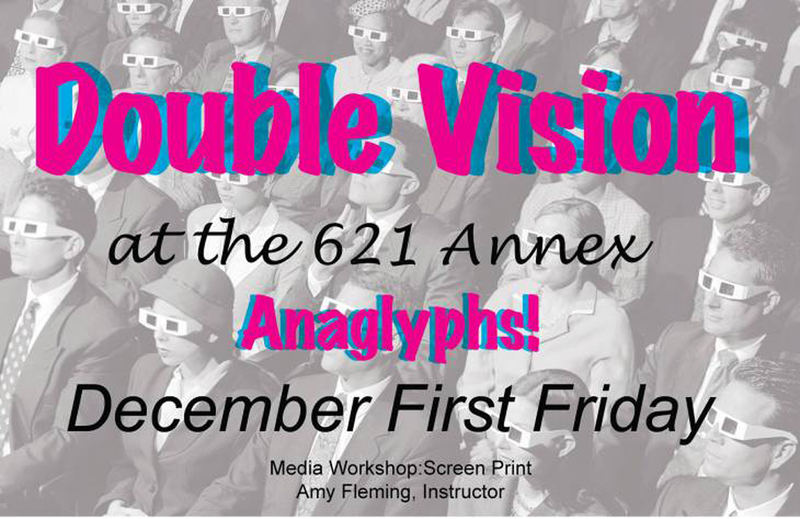 Come join us for 3D fun at 621 Gallery Annex on December 4th, First Friday 6:00 p.m. – 9:00 p.m. Amy Fleming’s FSU Art Media Workshop: Screen Print class has printed up some super anaglyph prints. 3D glasses included with every purchase. Come and explore three-dimensional space in a two-dimensional plane!